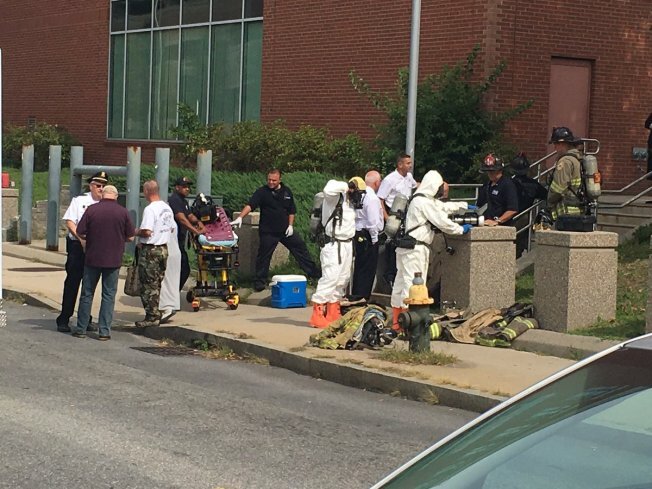 Authorities in hazmat suits outside of Providence Police Department for a reported suspicious package. The Providence Police Department in Rhode Island was temporarily locked down Thursday morning as bomb squad technicians responded to the scene. Officials donned hazmat suits and barricaded access to the road in front of the department's headquarters, according to a WJAR reporter at the scene. Bomb squad technicians have since left the area. Police told WJAR a suspicious package started the lockdown.